Beaches on Contadora Island can be found all around, but the island has seven main beaches that all have their own beauty. Most beaches are accessible by the main roads but for some you have to go on a little adventure. Since the Contadora Islands is located near the Pacific Ocean the water isn’t azure blue like the Caribbean Sea but don’t worry the beautiful green/blue colors make up for a lot. The island is very small so the seven beaches aren’t hard to find. The first beach is located northwest on Contadora Island and is called Playa Caracol. Playa Caracol is far from the biggest beach on the island but probably one of the less crowded ones. The beach is nice with some rocks scattered around, so watch your steps. The sea in front of the beach is a great scuba diving spot, because of the marine life that thrives here. You can find a lot of shellfish and empty hulls on this beach. Next to Playa Caracol is Playa Ejecutiva, which is the smallest beach on the island. The beach is located between two small cliffs and offers calm waters to swim. The third beach of the north side of the Island is Playa Galeon. Playa Galeon is more crowded then the other two beaches mentioned before but since it is not that big you can still find some peace and tranquility here. 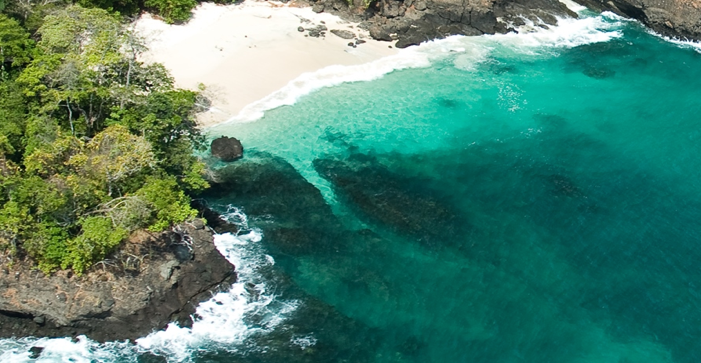 On the east side of the Island you can find the most famous beach of Contadora. The beach is called Playa Larga mainly because it’s big, very big. 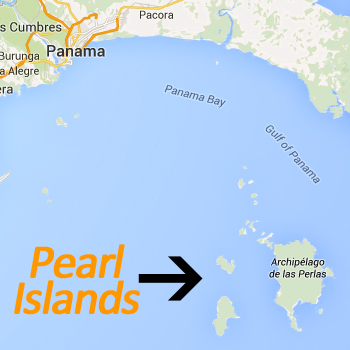 It stretches all the way from north to south and covers around 0,5 mile of the Islands. Most resorts face this beach and the majority of the tourist can be found here. The beach is nice with fine white sand and blue clear water. It can be crowded in high season. Not far south east of Playa Larga the nudist beach can be found. Playa Suecas is famous for its natural beauty and clear waters. Many birds hang around this place, especially pelicans. If we move to the southwest we reach Playa Cacique. This is the beach were you want to go with your snorkel gear. Playa Cacique has perfect crystal clear water conditions and enough fish to spend the day with. Playa Cacique is the number two beach on the island. Right next to Playa Cacique is Playa Camaron. Playa Camaron offers so excellent snorkeling conditions but a more laidback ambiance. Getting to the six beaches is easy because roads lead to all of them except for Playa Caracol. You have to hike a little to reach this beach. The main road can’t also reach playa Camaron but you will get close. Renting a bike will get you anywhere on the island in no time since the island is only 1,5 miles long and 0,7 mile wide. Golf carts or squads are also common transportation vehicles on the island of Contadora. Walking is also an option but will take you an hour or so.